Hay Bro Sis...Before has a face that is so fresh with a sprinkling of blue color as the main identity of the current Yamaha, once it has been known the identity of the yellow color that has a black pattern. In commemoration of the birthday of 60 years this time Yamaha to bring back the legendary color. By bringing back yellow patterned black, Yamaha aims to recall the legendary toward consumers who might miss the typical colors of Yamaha earlier. 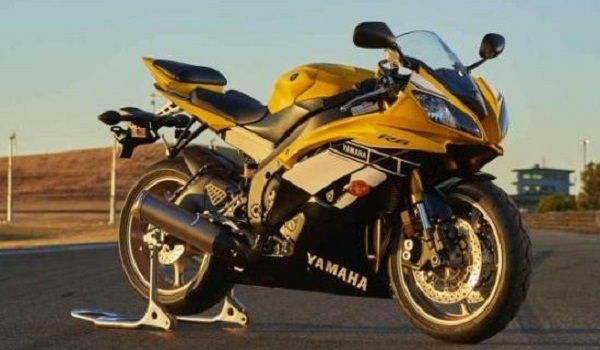 The motorcycles were covered with patterned yellow color black is present in motor sport models YZF-R6 medium and motorcycle adventure Super Tenere was also attended by the sport model YZF-R1 that was introduced long enough by Yamaha with a similar theme. Although launched with a limited edition, but Yamaha did not carry out any technical changes on both these special models. As reported on page Motorcyclistonline and summarized by page otomotif.liputan6, Saturday (10/10/2015), which states that the yellow livery for Yamaha also has a history of having won the world title in the GP 500 or currently named Moto GP in 1978. The era of the triumph of the season has been achieved by the rider Kenny Roberts riding YZR500. By attaching the title is also a beginning of attainment achieved three titles in a row by Yamaha and Kenny. Therefore, the theme is yellow with black patterns that characterize the success of Yamaha in the Era of Kenny Roberts. So in a special edition Anniversary 60th this will indirectly bring consumers back to remember the heyday of the yellow. How stout he won the championship at that time to produce Yamaha products are very popular and well-known as it is today. Because it can not be denied, their success in the present is also the fruit of the efforts undertaken in previous generations. At the commemorative edition to 60 this year Yamaha YZF-R6 removed at Rp 154.67 million and the Super Tenere priced at Rp 215.2 million.